Murder-accused Christopher Panayiotou is expected to hear in the Port Elizabeth Magistrate's Court today whether he will be granted bail. As usual, his whole family arrived at the courtroom in a show of support. But they were almost forced to wait outside. Jayde's whole family, including her father Dereck, in court for the first time today, had arrived early, and taken up the front rows where the Panayitou family usually sits. Eventually, they were able to squeeze into the end of the row, YOU and Huisgenoot journalist Joanie Bergh said from the court. "[They were] surprised to find the Jayde's family at the front. No one is making eye contact." Magistrate Abigail Beeton was expected to hand down judgment on Thursday and had a draft order for his bail application ready. However, she said she wanted one more day to reconsider, following "clarity" she had received during Thursday's proceedings. Panayiotou, 28, has been in custody at St Alban's Prison for more than a month since his arrest on April 29 for the murder of Jayde Panayiotou, who disappeared on April 21. He faces charges of conspiracy to commit murder, murder‚ kidnapping, robbery with aggravating circumstances and defeating the ends of justice. Thando Siyoli‚ 31‚ and Sizwezakhe Vumazonke‚ 30‚ are his co-accused. The State has also struck a deal for Siyoli to become a witness in return for possible immunity from prosecution. Panayiotou's girlfriend Chanelle Coutts would be a direct witness. On Thursday, Panayiotou's lawyer Terry Price said the State's description of the motive for the murder of Jayde was a "thumbsuck" and a "lie". "This is pure poor unadulterated thumbsuck," he said, making a last ditch bid for Panayiotou to be released on bail. Price rejected a submission that Jayde was killed because her husband was cash strapped and would lose his inheritance if he carried on seeing Coutts. Price said there was no affidavit from his client's girlfriend Chanelle Coutts, and the State was just producing "speculation". "There is a smell in this courtroom and I suspect that it will continue into the trial," added Price. If there was a statement saying she was killed for money, he wanted to see it. Prosecutor Marius Stander said he was not afraid to say that he had an affidavit saying that. Price pounced and as he threatened to file an application to see the affidavit, the recording equipment crashed and court was adjourned for a short period. 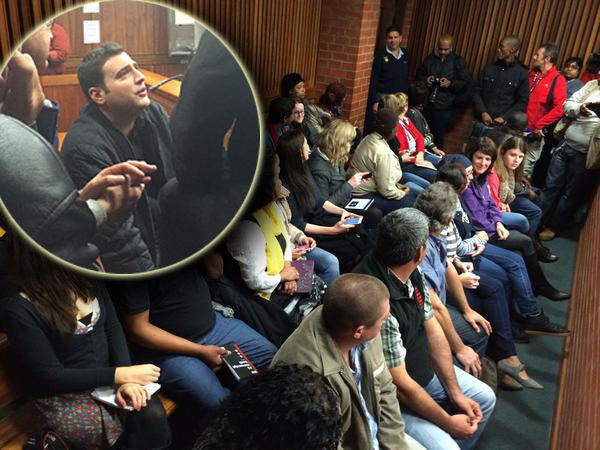 Earlier, the court heard that Panayiotou had offered R50 000 for bail. The State would take custody of his documents, which include a Cyprus ID card and a South African ID. Price had said that Panayiotou would use a cellphone with a GPS tracking device allowing police to keep an eye on his movements.